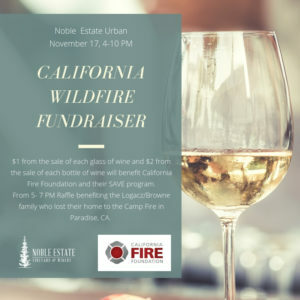 In response to the devastating wildfires affecting California, Noble Estate Winery is hosting a fundraiser to help our neighbors to the south. 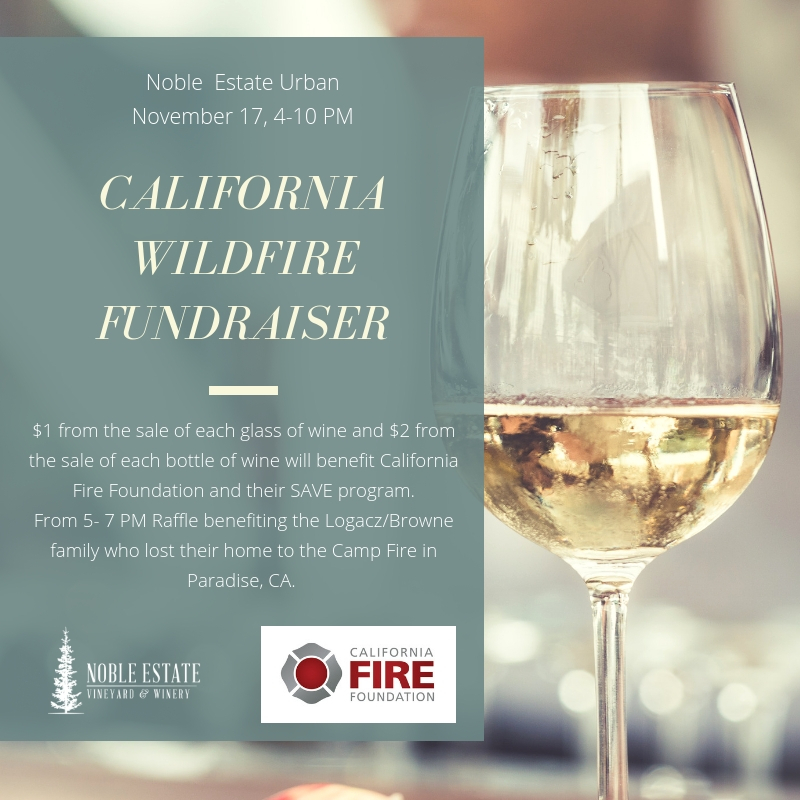 This Saturday night at Noble Estate Urban $1 from the sale of each glass of wine and $2 from the sale of each bottle of wine will benefit California Fire Foundation ‘s SAVE (Supplying Aid to Victims of Emergency) program with a cap of $10,000. 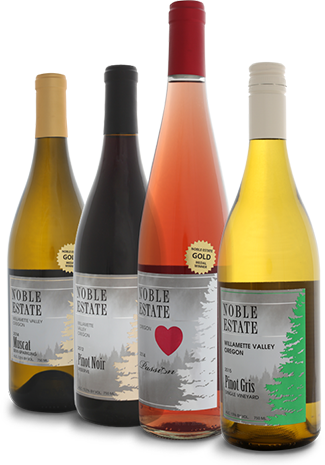 From 5-7 pm there will be a raffle to benefit Jen and Heath Logacz and their two young children who lost their home to the Camp Fire in Paradise, CA. This raffle was organized by Heath’s daughter Juniper Sennett to assist with their immediate needs. Raffle items have been donated from local businesses. 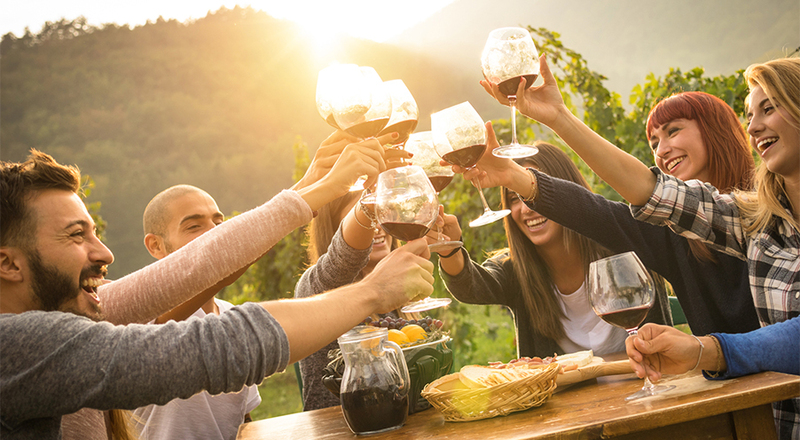 Live performances from 5-7 pm by Jen Sennett Franklin Music and Cooper Morris Music. Supper available from Pillage Pizza.